Naturopaths believe it's a good home remedy. Some people have reasons to believe that it helps with weight loss, anti-aging, fighting the common cold, eye health, treating kidney stones, improving digestion and maintaining optimum blood pressure. Are these health claims real or just hype? Let’s look at what sound medical facts say. The number one reason why you should drink warm lemon water is the high amount of vitamin C you can get from lemons. The daily requirement of vitamin C for women is 74 mg. For men, it is 90 mg. If you smoke, you need 35 mg more than the normal amount. A 3 fl. oz of lemon juice provides 34 mg of vitamin C and just 20 calories. Lemon juice also provides 0.64 g of protein, 1.6 g of fiber, 15 mg of calcium, 7 mg of magnesium, 13 mg of phosphorus, 116 mg of potassium, and 1 mg of vitamin A. It also provides 1% of your recommended intake of folate and potassium. Vitamin C boosts the immune system and helps fight colds and flu. The National Institutes of Health said that vitamin C or ascorbic acid can ease the symptoms of cold thereby reducing the length of time that a person would have the cold symptoms. It is recommended to take vitamin C regularly and not just when feeling sick because it doesn't seem as effective when you just take it after you start feeling the cold symptoms. You can get your daily dose of vitamin C by drinking lemon water. Vitamin C also enhances iron absorption. When eating plant-based foods that are rich in iron, vitamin C helps the body absorb iron. So make sure to pair foods that are high in iron with foods that are high in vitamin C to increase the ability of your body to absorb iron. The National Institutes of Health mentioned that supplements including vitamin C could slow down the progress of Age Related Macular Degeneration. According to a study wherein participants with AMD took 500-mg ascorbic acid supplements daily together with other vitamins and nutrients, the chances of developing advanced AMD is lower. Current studies are looking into the possible link between vitamin C supplements and cataracts. Does warm lemon water help you to lose weight? Warm lemon water is a perfect replacement for other high calorie beverages you might drink in the morning. Instead of drinking coffee or tea with cream or sugar-packed orange juice or smoothie, try warm lemon water. This significantly cuts down your daily calorie intake. Have you ever tried preloading? Maybe you have but you just don't know it. Preloading refers to drinking water before a meal. If you drink water before a meal, your stomach seem to stretch and you feel full longer. That reduces the amount of food you eat at meals. They also say that warm water tends to stay longer in the stomach compared to cold water, which also explains why you feel fuller for a longer time. This could help keep you from munching on unhealthy snacks. Studies actually attribute to preloading with water before a meal a 13% reduction in calorie consumption. Another way that lemon water helps with weight loss has something to do with pectin. Pectin is a fiber source in lemon that can control food cravings. A glass of warm lemon water can melt adipose tissue, otherwise called body fat. Lemons also contain polyphenols, which have been proven to reduce weight gain in animal studies. Does warm lemon water boost metabolism? In a way, it does. Drinking warm fluids elevates the body’s temperature, which in turn boosts metabolism. By drinking warm water all through the day, you increase your metabolic rate by 30%. Ascorbic acid is also an antioxidant (know more about antioxidants), so drinking warm lemon juice helps to protect your body cells and DNA from free radical damage. It can help fight the aging process, lower the risks of diseases like cancer, arthritis and heart disease. 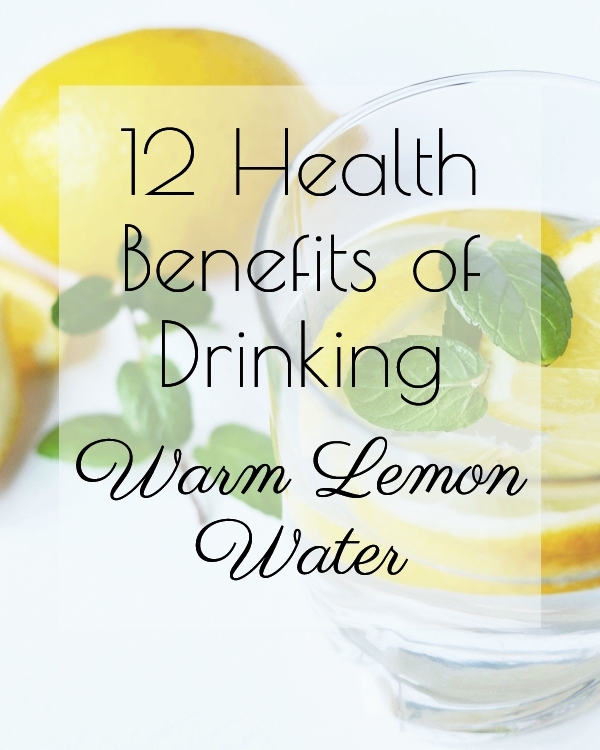 It is best to drink warm lemon water first thing in the morning and throughout the day. Limonene is another antioxidant found in all citrus fruits including lemon. Its antioxidant properties has been found to be effective in killing cancer cells and counteracting cell damage caused by free radicals. There was an animal study conducted that showed a reduction in liver tumors with the use of citrus limonene, and an increased growth of new healthy cells. In another study involving female breast cancer patients, limonene helped to reduce the size of lymph nodes. Other human and animal studies have shown the positive effect of limonene on heartburn, inflammation, gallstones, healing of wounds and poor eyesight. Drinking warm water with a touch of lemon juice could certainly bring on those same cancer-fighting properties. If you're wondering why you should drink warm lemon water instead of cold, the next three points will give you some answer. Why drink warm lemon water with emphasis on "warm"? Drinking warm lemon water could raise the body's temperature which causes perspiration. Sweating helps in flushing out toxins from the body. The Chinese are big advocates of drinking warm and hot water. They say that a glass of warm water in the morning makes the digestive system work. It assists blood flow as it is a vasodilator. With increased blood circulation, the body is detoxified. In a study, 15 participants were asked to drink cold water, warm water and chicken broth, after which their mucus velocity and nasal air flow resistance were tested. After drinking warm water, nasal mucus expulsion increased dramatically. With cold water, nasal mucus velocity decreased. So, warm water helps to dissolve phlegm and expel it through the respiratory tract. It's a cheap natural home remedy for a cough, cold or sore throat. Drinking warm lemon water helps to improve digestion and flush out digestive waste. Lemon juice stimulates saliva production, which in turn stimulates bile production. Bile is necessary for disposing of digestive waste. Lemon juice also helps to improve vitamin and mineral absorption so the body gets more of the good stuff. Warm lemon water before a meal is good for breaking down waste and flushing out toxins from the digestive system. Staying hydrated, on the other hand, helps the kidneys to expel body waste. If you are constipated, how does warm lemon water help with constipation? Drinking warm water makes it easy to break down food particles and move through the intestines. If you drink cold liquids, it tends to solidify fats in the stomach. Warm drinks also widen blood vessels to aid digestion, it stimulates the bowel to ease constipation. Lemon juice also contains flavonoids. Flavonoids have been confirmed to impede or stop cancer cell division. They can improve your antibodies to help fight off cholera. Fruits and vegetables rich in flavonoids can also help with weight loss. Drinking warm lemon water gives a lower glycemic load so you can enjoy the flavor without feeling guilty about the calories. The American Heart Association recommends eating citrus fruits to lower the risk of ischemic stroke in women. Fresh lemon juice can improve blood circulation and has an anti-inflammatory effect. Can warm lemon water lower blood pressure? A study in Japan actuallly looked at the effect of eating one lemon a day and walking in women. The results showed an improved blood pressure in all participants. Cardiovascular disease Consuming foods rich in vitamin C can also help treat cardiovascular disease. Oxidative damage is one cause of the condition and the antioxidants in fresh lemon juice can help counter its effects. How can drinking warm lemon water everyday prevent and treat kidney stones? Stones are mostly made of calcium oxalate and citrate is used to treat them. If you drink lemon water, citrate is produced in the urine. With more citrate in your urine, you stop the formation of stone deposits. This has been proven by many human studies. About 19% of men and 9% of women have kidney stone problems typically beginning after the age of 30. Having high blood pressure, obesity and diabetes increases the risk for kidney stones. Kidney stones often develop because of dehydration as well. So, it's a good idea to drink a glass of warm lemon water in the morning everyday to help treat this condition. Studies show that drinking warm lemon water is wonderful for the skin. With the antioxidants working to fight free radicals and other forms of photodamage, you will have better looking skin at the end of the day. Vitamin C is also important for collagen production. Collagen gives the skin its fantastic structure. More vitamin C means more collagen and less wrinkles, dark spots and other skin imperfections. Potassium is an electrolyte that is vital for all cell functions and nerve signal transmission. It helps to keep the water inside the cells for optimal hydration. Warm lemon water can replace sports drinks because of its potassium content, which is 37.8 mg of potassium per one fluid ounce of fresh lemon juice. Potassium also helps your muscles and your heart to function optimally. Is warm lemon water bad for your teeth? Unfortunately, this is a disadvantage of drinking warm lemon water. The acid in lemons has a tendency to damage tooth enamel. Enamel protects your teeth. If it is destroyed, the teeth will become sensitive, stained, and more vulnerable to cavities. The key to stopping this is to rinse your mouth out or brush your teeth immediately after drink lemon water. Dentists advise drinking acidic beverages quickly and using a straw to avoid its contact with the teeth. The above facts show clearly that there are a lot of health benefits when drinking warm lemon water. 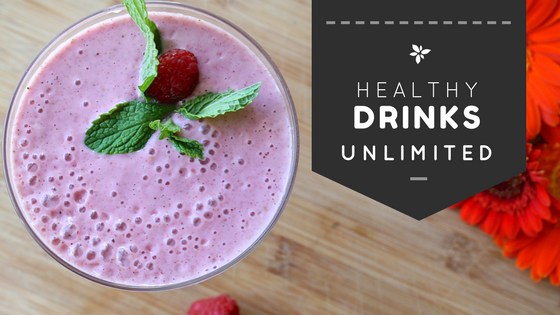 It's an excellent alternative to drinking juices, tea and coffee which usually have more calories. Some people don’t drink enough water because of its taste so the taste of lemon could make it more enjoyable at the same time reaping the health benefits of both lemon and water. Do you drink warm lemon water in the morning? I have been drinking warm.lemon water daily since last nearly two years...I don't know the health benefits but it does make me feel good.. I had no idea this health drink was so common. It seems there are many healthy benefits to gain. I'm not sure I ever had this! I often have tea with lemon and honey but never just water. It' so true that something just this simple has so many benefits. Some of these I had no idea about at all! It's true and most be recommended specially in a dieting process and its effective .Your post is such a nice reminders and awareness the good benefits of that kind of drinks .